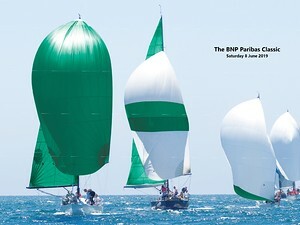 The 2019 BNP Paribas Classic race documents are now published and Online entry is open. The States of Jersey Customs & Immigration Department has posted an online message to mariners in relation to requirements for private boat owners. ​Molten Jazz will be playing in the Clubroom ​from 17:30 until 20:00 - Enjoy live music before dinner. The Club will be showing this in the Club Room. Come on down to the Club for lunch with friends, make an afternoon of it and enjoy this prestigious event in good company. Please bring sale items to the club between 9am and 12 noon on Saturday. Tickets are available from the office for the fitting out supper on Saturday ​13th April. ​The first rally of 2019 will take place on Friday 19th to Monday 22nd April.